In the postmodern, relativist world-view with its refutation of a single, objective, and ultimate truth, it has become difficult if not impossible to argue in favour of one’s own beliefs as preferable to those of others. Miriam Feldmann Kaye’s pioneering study is one of the first English-language books to address Jewish theology from a postmodern perspective, probing the question of how Jewish theology has the potential to survive the postmodern onslaught that some see as heralding the collapse of religion. Basing her arguments on both philosophical and theological scholarship, Feldmann Kaye shows how postmodernism might actually be a resource for rejuvenating religion. Her response to the conception of theology and postmodernism as competing systems of thought is based on a close critical study of Rav Shagar (Shimon Gershon Rosenberg) and Tamar Ross. Rather than advocating postmodern ideas, she analyses their writings through the lens of the most radical of continental postmodern philosophers and cultural critics in order to offer a compelling theology compatible with that world-view. 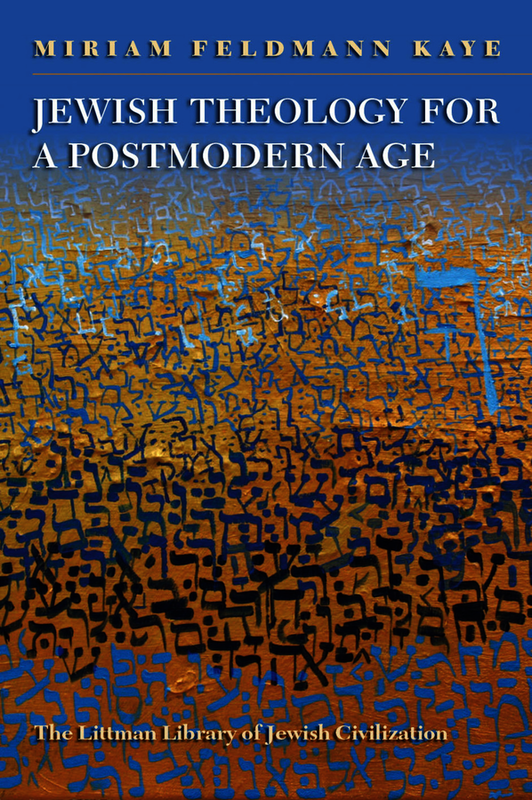 Whether the reader considers postmodernism to be inherently problematic or merely inconsequential, this study demonstrates why reconsidering these preconceptions is one of the most pressing issues in contemporary Jewish thought. Dr Miriam Feldmann Kaye is a lecturer in Jewish thought at the Hebrew University of Jerusalem, where she teaches courses on postmodern theology in contemporary Jewish thought and on the changing concept of truth in the modern and postmodern age. She has also lectured at Yeshiva University’s Orthodox Forum and at the World Congress of Jewish Studies, and been a featured speaker at Limmud UK. A recipient of the Theological Studies Prize from the University of Cambridge, her publications include a chapter in Ronit Irshai and Dov Schwartz (eds. ), 'A New Spirit in the Palace of Torah'.